 Earlier this year the Money Advice Trust launched Borrowed Years, our new campaign to raise awareness of free debt advice amongst 18 to 24 year olds – a group that we know is under-represented amongst the people that contact National Debtline and other agencies for advice. So far the campaign has generated more than 160 items of media coverage, and its launch led to the busiest day to the National Debtline website in 2016 so far, including visits to our tips for 18 to 24 year olds. In our first spotlight in August, we looked at young people’s experiences of credit, debt and borrowing – finding that 37% of 18 to 24 year olds are already in debt, while around half are regularly worrying about their personal finances. Our second spotlight focused on borrowing from family and friends and the vital ‘safety net’ that this provides for many under 25s. Today we launch our third and final spotlight, looking at this age group’s experience with mobile phones – a near-necessity for all, and unfortunately, a source of financial difficulty for some. For many young people, their mobile phone is often the first financial commitment that they will take on in their lives – and most will do so without any problems whatsoever. However, our research suggests that nearly half a million 18 to 24 year olds ‘regularly struggle’ with the cost of their mobile phone – with many who are on contracts missing their monthly payments, and some even borrowing as a result. Around one in twelve 18 to 24 year olds (8.5%) regularly struggle to pay their mobile phone bill or top up mobile phone credit, equivalent to an estimated 485,000 young people. Of those in this age group who have a mobile phone contract, 8% have missed one or more monthly payments in the last year – while 7% of all 18 to 24 year olds have borrowed money from a family member or friend to cover mobile phone costs. We all know that mobile phones are no longer a ‘nice to have’, but an essential part of everyday life. With such a significant minority struggling with mobile phone costs, we need to do more to make sure young people receive the support they need when they fall behind. In our third and final Borrowed Years briefing, published today, we present a selection of measures for both mobile phone companies and their regulator, Ofcom, to consider as they seek to improve outcomes for customers in financial difficulty – and for younger customers in particular. The briefing also offers some ideas for how the industry could make a significant contribution to improving the financial capability of young people, in line with the ‘life events’ approach laid out in the UK Financial Capability Strategy. You can read more about our suggestions here. We look forward to discussing these ideas with mobile phone companies in the coming months – and to continuing our efforts to reach many more 18 to 24 year olds with the free advice that many in these age group need. Previous What might the Autumn Statement bring for JAMs?